If you have been cheated by your business partners or been a victim of industrial espionage, a corporate power play or actions by a dictatorial government, veteran trial attorney Andrew C. Hall can be your legal champion. “I have great passion for helping the underdog,” said Hall, who has handled some of the nation’s highest profile cases in the past 45 years. As the founding partner of Hall, Lamb, Hall, & Leto, P.A., Hall focuses his practice on complex commercial cases including international disputes. His partners in the Coconut Grove firm include his son Adam S. Hall, Adam J. Lamb and Matthew Leto. “We enjoy the challenges of complicated matters that are highly contentious and difficult to win,” he said. In recent years, Hall’s noteworthy cases include helping Robert Bell, inventor of Banana Boat suntan lotion, recover $3.2 million in a shareholder suit, and representing the former chief operating officer of AT&T in a $16 million malpractice suit against his former legal counsel. Hall also represented Francisco Tudela, a former Peruvian vice president and ambassador to the United Nations, in the kidnapping, false imprisonment, and forced marriage of his 94-year old father, business magnate Felipe Tudela. Tracking defendants across continents, Hall successfully upheld Francisco’s guardianship of his father in Peru, brought Tudela senior back into the care of his family, and protected the value of his estate. The impact of the pending case on your business. Hall’s tenacity in the courtroom is in large part a product of his past. Born in Warsaw, Poland in 1944 while his Jewish parents hid from Nazi occupiers, Hall survived the Holocaust and immigrated with his family to the United States four years later. A resident of Miami since 1952, Hall earned his undergraduate and law degrees at the University of Florida. After graduating in 1968, Hall returned to Miami as law clerk to U.S. District Judge Joe O. Eaton. In 1972, he became an associate with the Miami firm of Frates, Floyd, Pearson, Stewart, Proenza and Richman. He soon became a defense counsel for John D. Ehrlichman, President Richard Nixon’s former senior advisor for domestic affairs, in the Watergate and Plumbers trials. In 1975, Hall opened his own firm and continued to represent individuals and businesses in critical matters. During the late 1980s, he defended former Ambassador Marvin L. Warner in several major cases following the collapse of Ohio’s state-insured savings and loan industry. He has also won a number of multi-million dollar verdicts for Security Pacific Bank, Union Bank, Spanno Corporation, Georgetown Manor, Inc., Burger King Corporation and other clients. Throughout his career, Hall has been active in professional organizations and Jewish affairs. He serves on the National Board of the American Jewish Committee (AJC), and was regional AJC president. 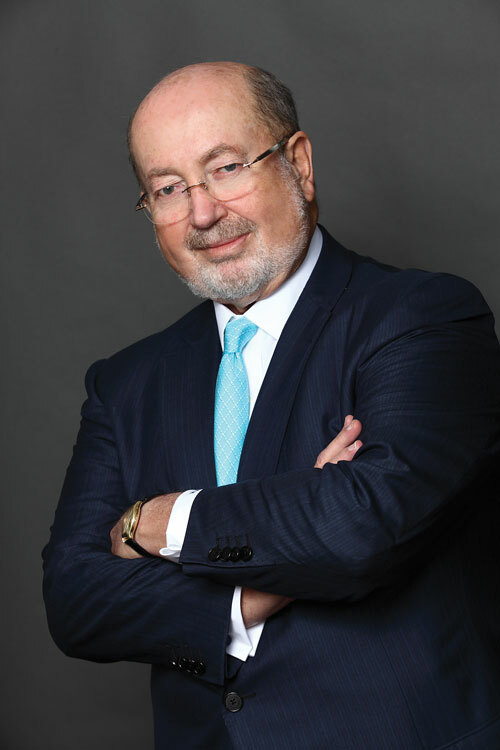 He is chairman of the Miami Beach Holocaust Memorial and a past president of the South Florida Transplant Foundation. For more than 15 years, Hall has been leader in the fight against state-sponsored terrorism. In 2010, he appeared before the U.S. Supreme Court on behalf of the families of Americans who were taken hostage and tortured following the first Gulf War. He has also represented the families of U.S. sailors who died in the USS Cole attack, and recently recovered a judgment for $316 million against the Government of Sudan for its support of terrorism. Hall has also taken on the Castro regime, securing a $2.9 billion judgment on behalf of a Cuban expatriate for damages stemming from the forced suicide of the plaintiff’s father, and the terror attacks launched against his family by the Cuban government.